Can your student get lost in his or her art? The Visual Arts Pre-College Experience is for high school students with a serious interest in the visual arts. In addition to building skills, the program is designed to engage students' visual, intellectual, and creative curiosities, and will include one museum trip and a visiting artist lecture. What is the Visual Arts Pre-College Experience? The Visual Arts Pre-College Experience is a two-week intensive program for high school students with a serious interest in the visual arts. Classes are taught by Saint Rose faculty who are dedicated to recognizing and nurturing an individual’s creative ability, and who are committed to challenging students through a curriculum of targeted skill-building studio sessions. Students will participate in both a drawing session and a studio elective of their choice. 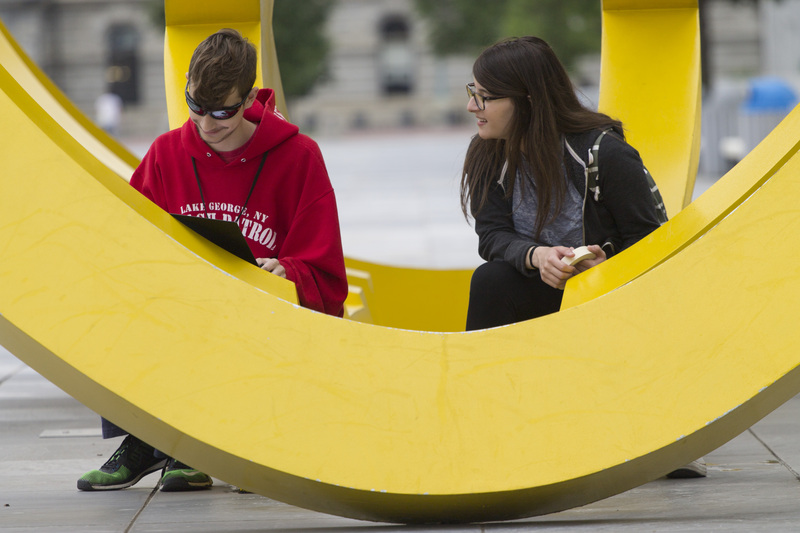 This year, elective offerings include Graphic Design, Motion Design, Printmaking, Digital Photography, Black and White Film Photography, and Sculpture. In addition to building and refining students’ technical skills, the program is designed to engage their visual, intellectual and creative curiosities, and will include one museum trip and a visiting artist lecture. The objectives of this highly intensive program are focused on building strong foundational skills in drawing from observation, developing technical information, learning to talk about and critique work using the language of art and design, and creating a strong portfolio of work that they will be proud of. 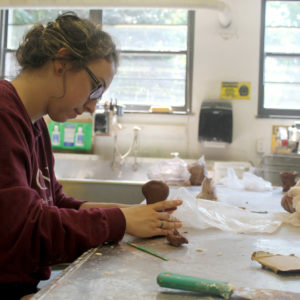 Students participate in a drawing studio course and an elective studio course. Drawing is the most important part of every college admission portfolio. It is the translation of 3-D space onto a 2-D surface. Special attention will be given to measuring, perspective, light and composition, as students learn to see an object, draw it in proportion within a space, and describe it with sensitive and expressive lines. Digital Photography will introduce students to the world of Adobe Photoshop, where they will explore basic tools, adjustments, and filters. 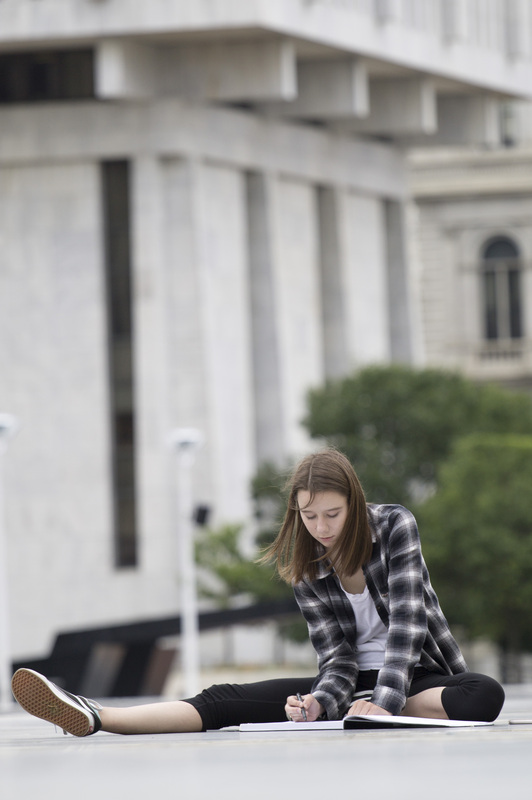 While working in small groups, students will develop creative techniques to enhance their digital photography and will learn digital workflow with both their camera and smartphone. Experiments with basic natural lighting, color, texture, composition, and printing will provide a solid foundation in both technical and creative digital photographic processes. The Graphic Design portfolio course will introduce students to the subject of Graphic Design through the development of professional processes and skills. This is not a computer software class but rather an idea generation that is fundamental to graphic design. Students realize their goals – and work with a professional graphic designer. Derived from the French “in open air” this course calls students to venture out of the studio, absorb their surroundings and create work in response to their experience. Explore the tradition of plein air painting and learn techniques to work with portability in public settings. Locations will be selected to include studies in nature and more urban locales.